When building a bench, I think most people opt to build the bottom stretcher and leg assembly first. While that makes sense to me on one level, the sheer mass of the top made me think it would be much easier to tackle it first. The following is the process I went through from rough to finished (mostly) top. The first step is assessing what exactly you need to do. With my very high tech winding sticks, I found the twist and high and lows of each timber. These winding sticks are made from two pieces of some 1"x4" MDF I have in stock for the house trim. Both are primer white and I ripped one down slightly and used a Sharpie on the other for contrast. They're straight and cheap! 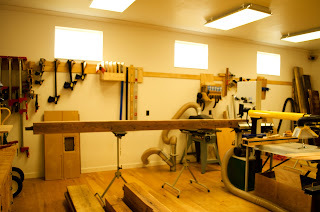 Next, I used a long straight edge to level four roller stands on either ends of my jointer. 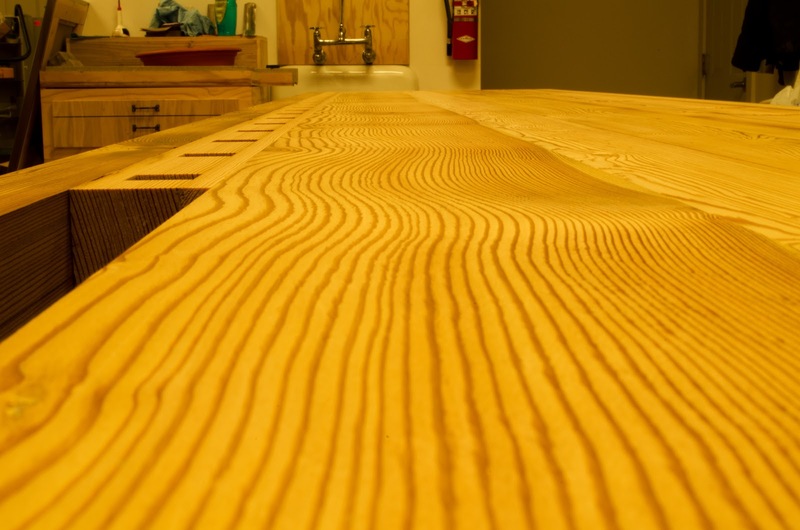 I'm lucky enough to have an 83 inches in jointer table. 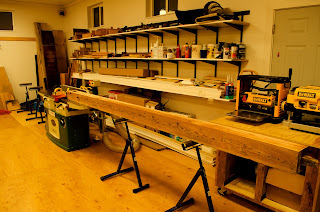 Having the roller stands dead on helped in taking the twist out of the timber. 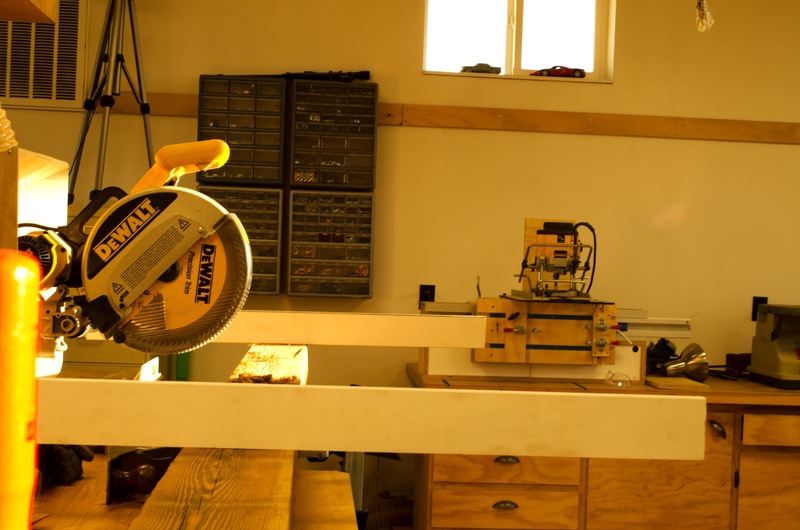 Normally, if you try to joint a twisted board, you end up following the twist as move the board across the jointer. The sheer weight of these actually allowed me to use the weight of the timbers to establish a flat face. I only had to push and keep the timbers in one position as I moved them across the blades. 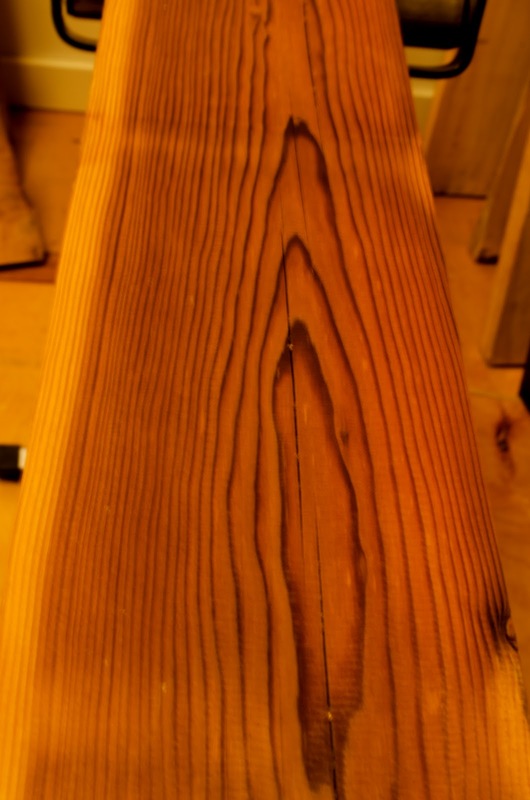 Here are the before and after photos of one timber. They're representative of the majority of the wood. 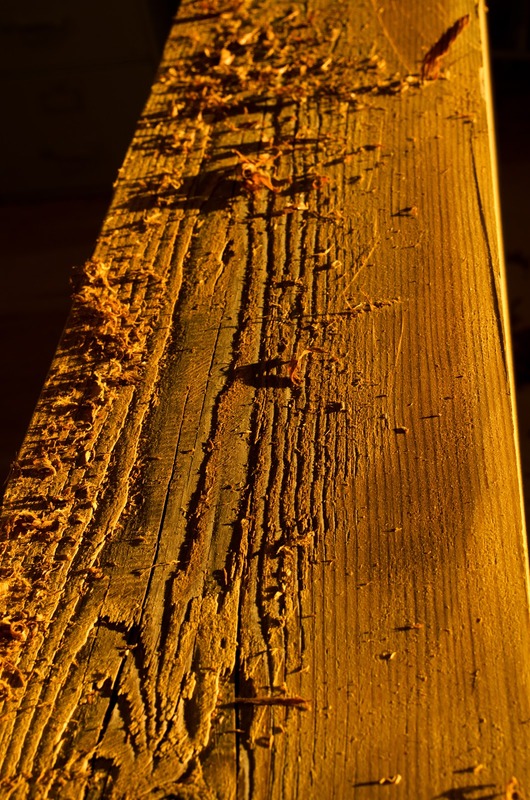 There are also many "defects" such as this throughout the boards. Luckily, all the knots are nice and tight still. Once I had a face flat, I made one of the adjacent faces square to the face. 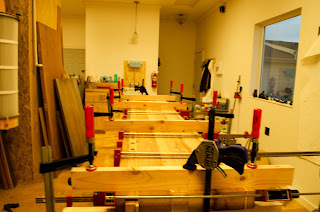 The next step was to resaw the remaining twist out of the timbers. I had to move my bandsaw to accommodate a 12 foot operation. 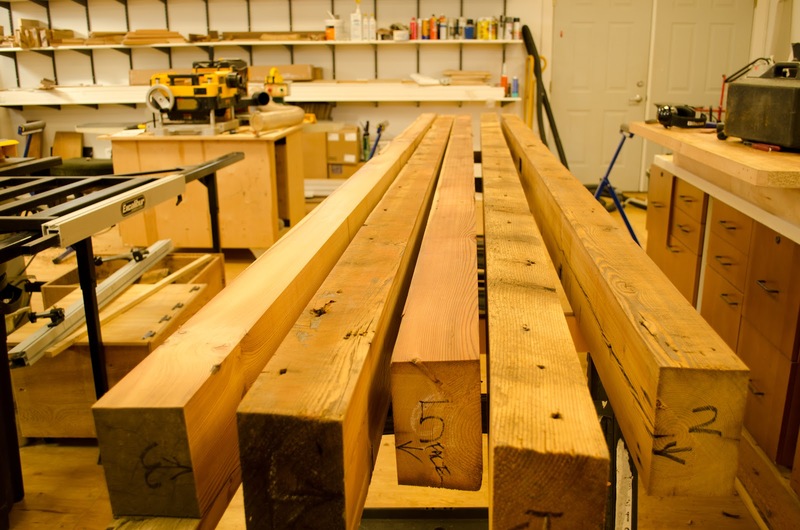 After I had the timbers resawn, I staged and numbered them for the planing operation which which would take them to a uniform size. 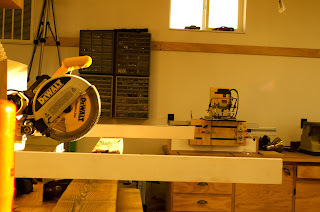 I, again, put infeed and outfeed rollers in place for handling these large pieces of wood. 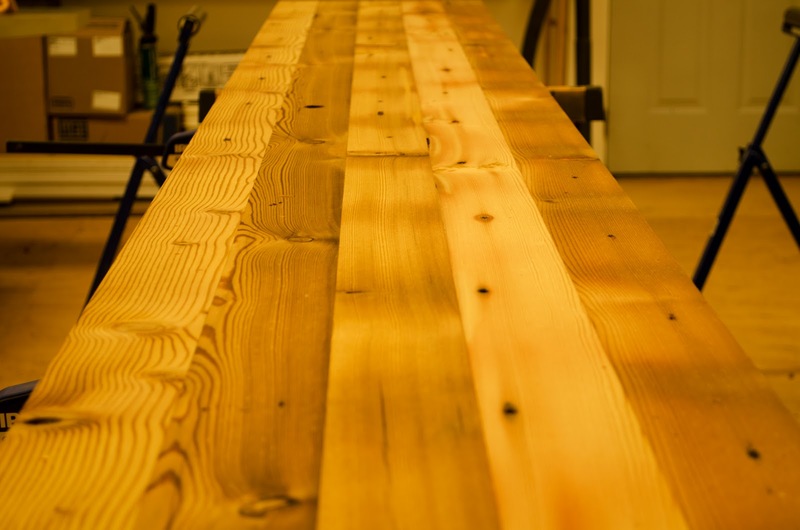 Now that all the timbers were "roughly" finished, I could decide the sequence of boards for the top. Taking into consideration knots, color, and material size in relation to the final project size. At this point, I ripped some of the timbers down and then cut them to length. 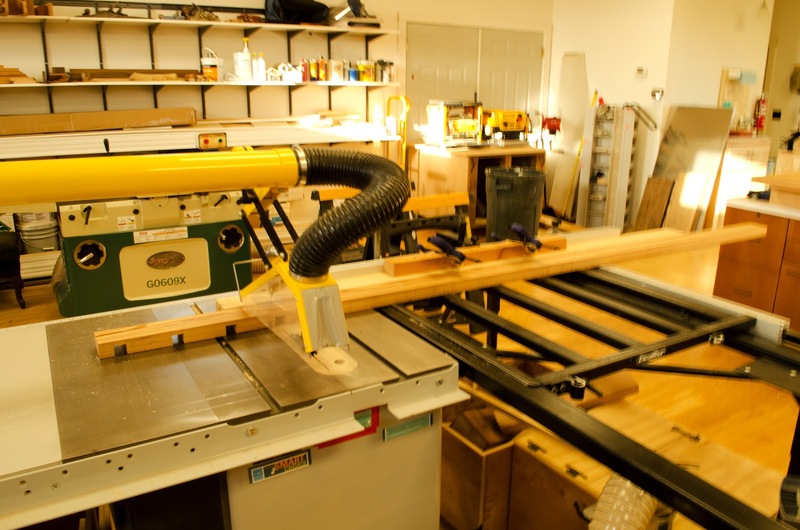 One of the boards I ripped was then processed at the tablesaw with the Excalibur sliding table and a dado blade to make the square dog hole strip. This is the glue up. I used a paint roller and about a 1/4 gallon of glue. A total of about 14 parallel Jet clamps, 8 Bessey F-clamps, and four cauls to help keep the pieces all lined up. Here are two shots of the top all glued up and ready for the next step of installing the BenchCrafted tail vise and laying out for the base. The entire build is going well. As usual, it's taking me far longer than I anticipated. Maybe someday, I'll either get faster or better at estimating my time. Looking good, Vic. You are way ahead of the crowd on this build. It's going to be fun watching your build come together. Interesting use of the dado to cut the dog holes. 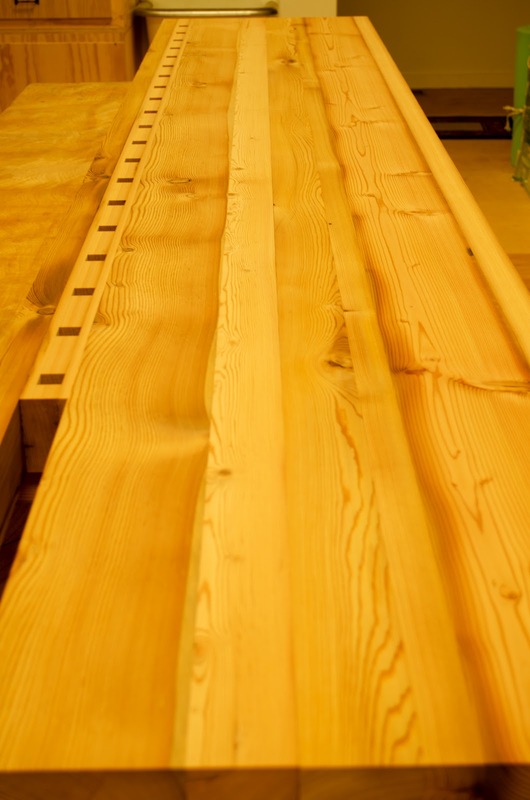 Are they 90 degrees to the top and straight sided, or did you follow up with a router to get the 2 degree slant and wider top that Benchcrafted uses? Honestly, I didn't catch anything about the 2 degrees, so they are straight. It should be fine, though. The dog will be held in place statically anyway. I saw afterward that BenchCrafted offsets for the head of the dog, too. Hopefully, my way will work fine. Otherwise, I'll have to address it in a retrofit scenario. Looks good, Vic. That will be a monster bench. Looking good buddy! Glad you are blogging about your build. I'll be sure and point other Guild members here! You'll be just fine with the dog holes,Vic. I can't believe the 2 degrees makes much difference. And the offset for the head is just to keep the dog from going all the way through the bench, which is not too important. 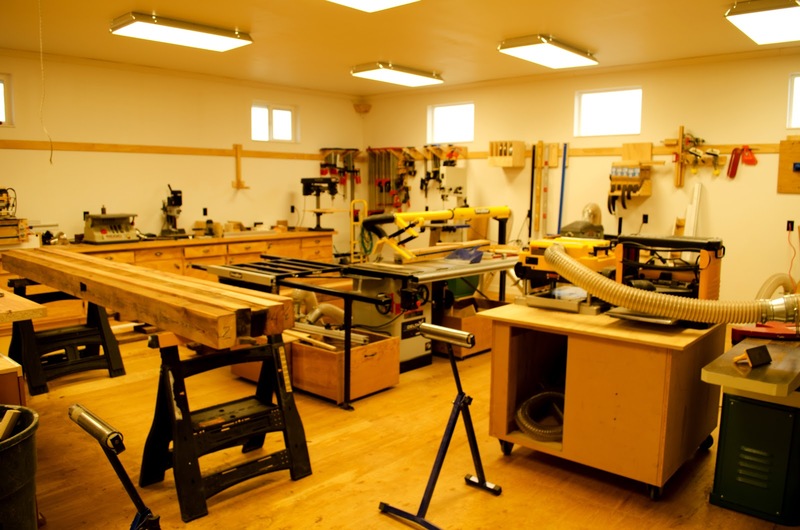 Hi Vic - your bench top looks nice and flat. You have a killer shop. Dyami - It needs to be, or it'd look really puny in this space. Plus, I'm sure there will be times I'm glad I followed Schwarz' advice and went with the biggest I could. Marc - Thanks for just having the Guild! What a fantastic opportunity that has never existed prior to you creating it. Aaron - I think you're right. Worse comes to worse, I'll make another top for that side. I'm trying to stay close to the build, but I'm using a fifth leg and going 4 1/2" x 5 3/8" on the four, since the timbers are clean at that size and more beef can only be a good thing. Jeff - Thanks, on both points. 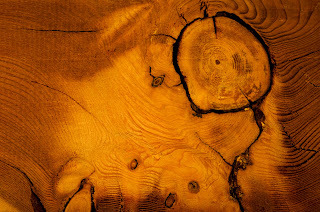 Vic, I love this wood. It warms the heart to see this hard working timber being given a new life. Also to add to Aaron's thread, I think it is easier to make the dog holds vertical, then you can add the 2* angle to the face of the dogs. This angle will improve holding power especially on thing parts where only the very top of the dog is touching the work piece. Shannon - Thanks for the tip on the dogs!! I hadn't thought of that. I will do as you say, Teach. More blog posts please. I'd love to see how this comes together. You are definitely enjoying yourself Vic. Keep us posted! That is gonna be an awesome bench Vic! Can't wait to see the completed project. From what I can see of it, you have an awesome shop! Worst case, just angle the face of your dogs 2 degrees. I'm with you though, I don't think a straight dog hole will affect things. I'd rather have them vertical for other shop-built appliances.